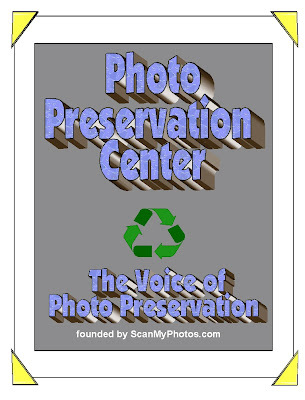 Irvine, CA (News Release) Faced with the rapid growth of digitizing trillions of analog photos, the Photo Preservation Center ("PPC") has been established by ScanMyPhotos.com as a principal resource for information on scanning and preserving generations of analog photo memories. MISSION STATEMENT: PPC is designed to promote and foster the dissemination of information and host an international resource center for discussing all issues pertaining to the preservation of pictures. PPC is designed to facilitate the transfer of information and enhance awareness for the growing demand for converting analogy pictures, slides and negatives into digital images and promote new products and imaging services available for consumers to view, save and share their photo memories. BACKGROUND: PPC further commercializes and supports the experiences and passions from leaders in the digital imaging industry in order to provide inspiration and tips on how to preserve photo memories and be a primary resource for the preservation of analog photographic images. HISTORY: As the voice of photo preservation, PPC was founded by ScanMyPhotos.com, a nationally recognized leader and pioneer in high-speed, affordable photo scanning. ScanMyPhotos.com has already scanned more than four-million pictures and expects to digitally preserve more than seven-million photos by May, during its “Great American Photo Scanning Month” to coincide with “National Photo Month.” Established in 1990 at a retail photo imaging center by Mitch Goldstone and Carl Berman, 30 Minute Photos Etc. is a well-known international leader in the photo imaging industry. It’s scanning division, ScanMyPhotos.com pioneered super-fast photo scanning and is best known for its role in helping to commercialize KODAK’s imaging technology with super-fast, affordable photo scanning services. 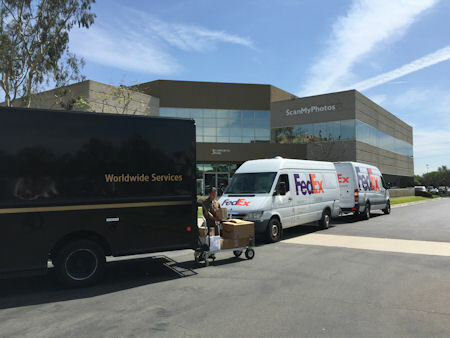 2) FREE SHIPPING - Consumers use the ScanMyPhotos.com online nationwide ordering to purchase prepaid, fill-the-box service to effortlessly have more than 1,600 4x6" photos scanned for just $99.95. [SPECIAL: Buy two get three USPS Priority mail co-branded box free for just $199.90 - holds more than 5,500+ pictures. 3) CUSTOM SCANNING - Consumers download the menu of ordering features online and pay a flat-rate to scan up to 1,000 photos for just $49.95. A variety of extra scanning enhancements, custom photo albums and reprints are also available and completed the same day. ABOUT US: As the voice of photo preservation, PPC was established to provide regular updates and tips on how to preserve photo memories. Regular updates are available on its website: PhotoPreservation.org and on its blog: “Tales from the World of Photo Scanning” [http://www.blog.ScanMyPhotos.com]. ScanMyPhotos.com has become a recognized leader and regularly responds to daily inquiries and questions about how to preserve photos, slides and negatives. The company is regularly invited to speak at industry events, including the Digital Imaging Marketing Association, Photo Marketing Association and the Consumer Electronics Show. ScanMyPhotos.com is a division of 30 Minute Photos Etc., which was founded in 1990 and based in Irvine, Calif.
Premier partner sponsorships are available with exclusive category authority. Angie Pedersen: "Scrapbooking Industry News"